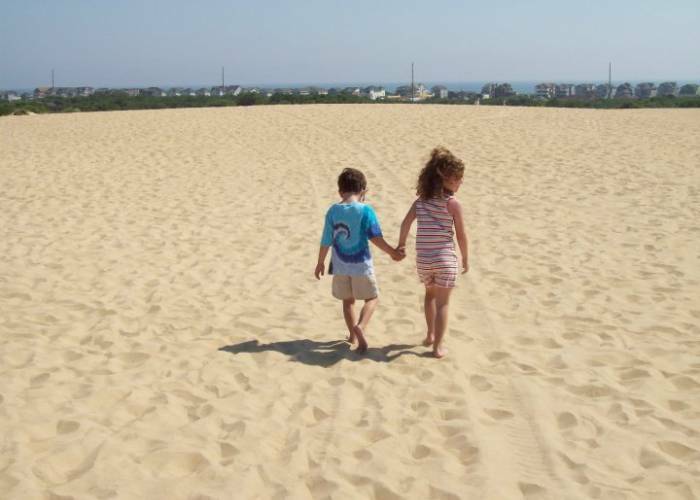 Walk up this giant sand dune and take in the amazing ocean to sound view of Nags Head! 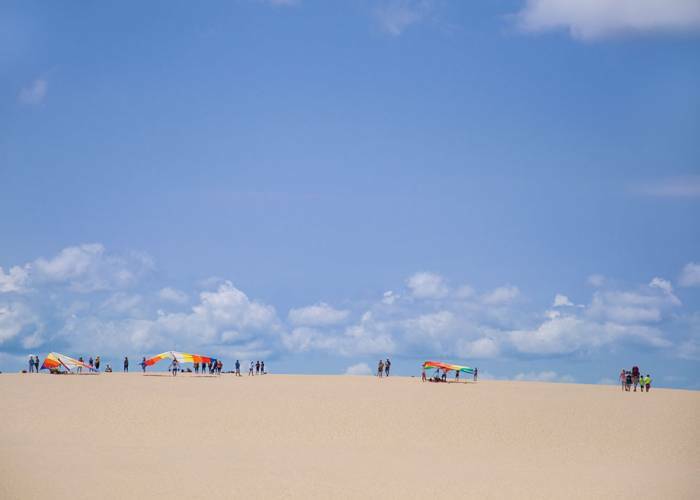 The beautiful environment of Jockey's Ridge means something different to everyone. 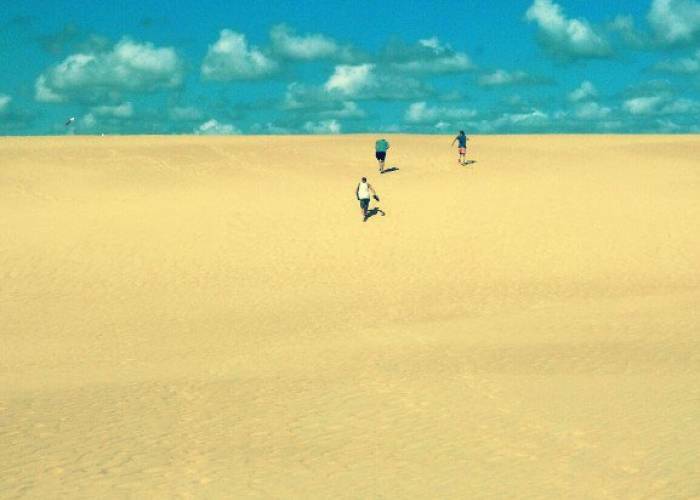 Nature lovers will appreciate the views and varied habitats of the extreme environment. Adventurers will love the challenge of making it to the top, or maybe even learning to hang glide. And kids just love to run down the steep faces! There are many stories about how the area got its name: from land pirates walking their nag along the ridge, to locals racing the wild ponies, to perhaps an original owner named Jackey. But one thing is for certain, this treasure was saved from development in 1973 by a determined lady named Carolista Baum, who literally stood in front of the bulldozers and refused to budge. You can learn more about how the park came to be during the early years of the burgeoning environmental movement in the visitor's center. 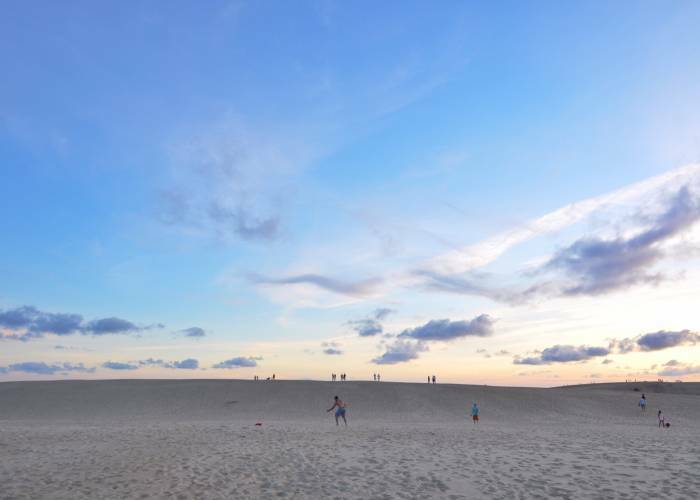 Whatever you do, don't miss Jockey's Ridge on your next visit to the Outer Banks!